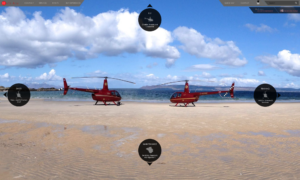 Heliair can provide Helicopter sightseeing tours, Pleasure flights and charter flights to suit your needs. To find us follow the signs around the airport perimeter road. A flight in a helicopter makes a truly memorable gift for your friend or loved one. Or perhaps it’s something you’ve always wanted to try yourself! 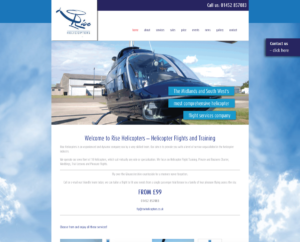 Our Flight Gift Vouchers are the perfect introduction to the unique sensation of helicopter flight and make a great present. They’re available for our Air Experience Flights and Trial Lessons. Simply choose the type of flight you want and we’ll give you a personalised voucher to present to your lucky recipient(s). The flight can then be arranged at any time to suit you. 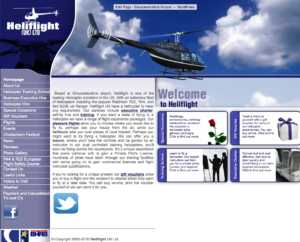 James Kenwright helicopter gift pleasure flights from Gloucestershire Airport, Staverton. We have several helicopters for gift pleasure flights which you can make a reservation for 30, 45 or 60 minutes. This will make an unforgettable experience as you may have the opportunity to fly in the hands of experts. Flying in a helicopter is an incredible experience. This will certainly be a gift that the lucky recipient will never forget. There will be a brief on how to fly the helicopter before take off so that if you should want to have a go at flying it yourself then you have the option! If not, then I will fly you over your house or other point of interest. 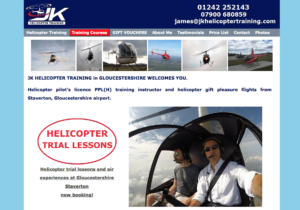 The trial lesson will involve all aspects of helicopter flight from hovering to performing an approach to an off airport location. If you are opting for the 30 minute trial lesson the whole process takes about an hour. If you book the 60 minute trial lesson then this will take about 2 hours.